Let your self go, disconnect your mind and get in touch with your primal soul. For it will soon be time to dance to the sound of drums. 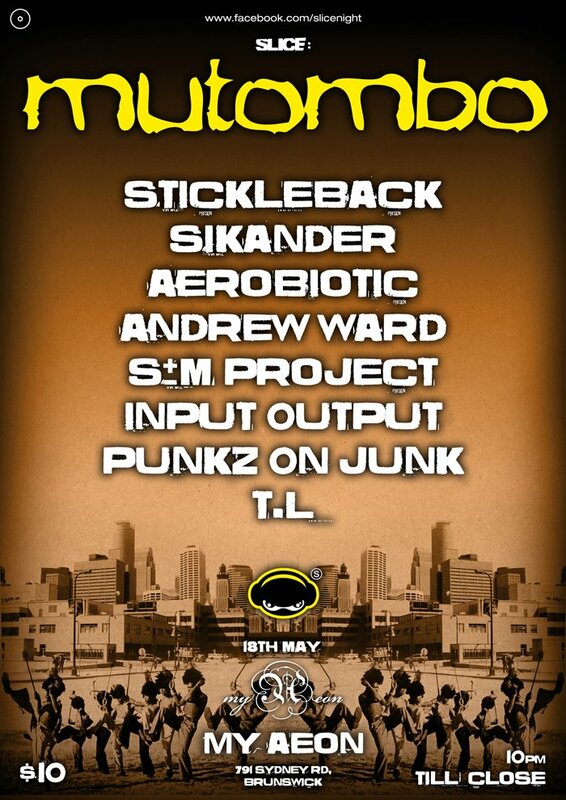 Slice Events is here again to bring you "Mutombo" a tribal techno gathering of some of Melbourne's most talented artists. Live acts and Dj's brought together who are destined to light up your cerebellum and get your pulse's racing. Spread the word. Come join the tribe! 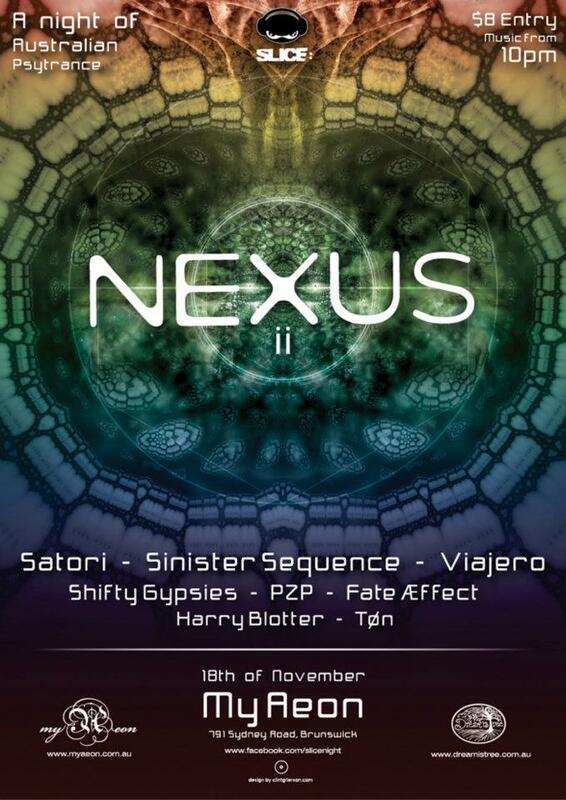 Slice Events presents Nexus III, featuring decor by Dreamistree and artists from Fish 'n Trips Records, Tempest Recordings, Point Zero Productions, Offworld Productions and Highly Evolved Music are proud to present the next instalment of the Nexus series of events, showcasing locally produced and international psychedelic trance acts with an outdoor-inspired vibe. Nexus is a means of connection; a place to meet friends both new and old in the friendly surrounds of Brunswick's My Aeon. 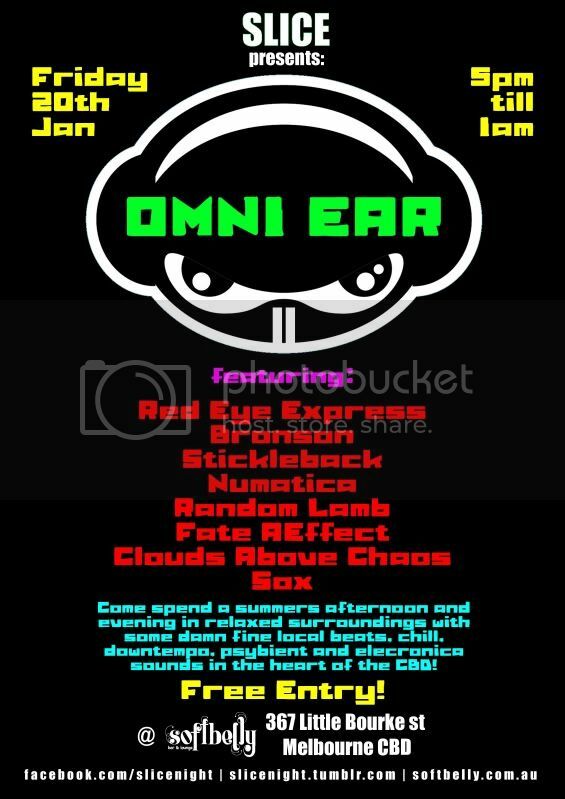 Come spend a summers afternoon to evening in relaxed surroundings with some damn fine local beats, chill, downtempo, psybient and elecronica sounds in the heart of the CBD! Music starts from 5pm and stops 1am. It's Slice time again! 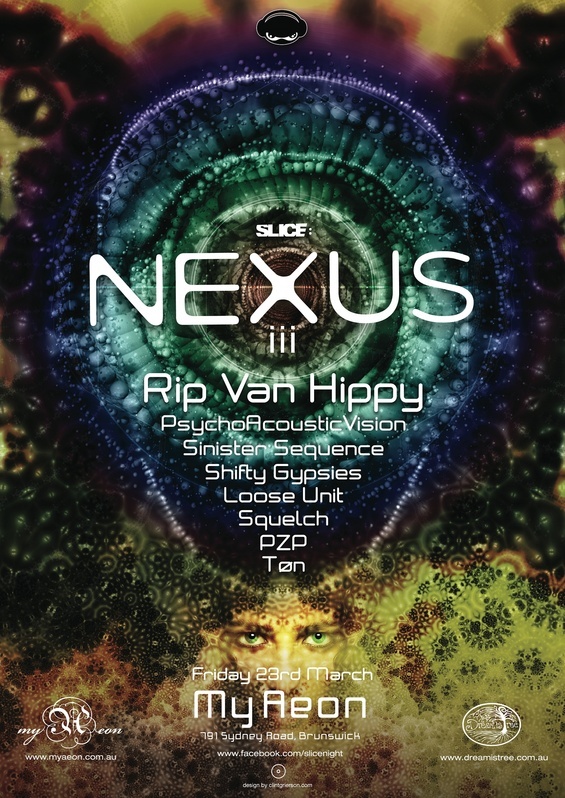 After a brief period of hibernation, we're back with another eclectic night of original psychedelic trance from across Australia. (c) SLICE ELECTRONICA CREW 2011.